You are at:Home»Things to Do»Atelier Christmas Factory: Get Your Crimbo On With More Festive Cheer! Move over Santa’s little helpers, the fifth year of the Christmas Factory organized and hosted by Atelier will take place this weekend, to provide fun and laughter for friends and the community. Go and enjoy Christmas festive vibes with arty-crafty activities, mulled wine and French crepes. All are invited! Children of all ages can come and enjoy a lineup of festive activities. Up to five crafts will be made available, one from the Fablab Makers team and the others from their in-house makers. Kids will be taught how to make a simple light electrical circuit for their very own Christmas wreaths. 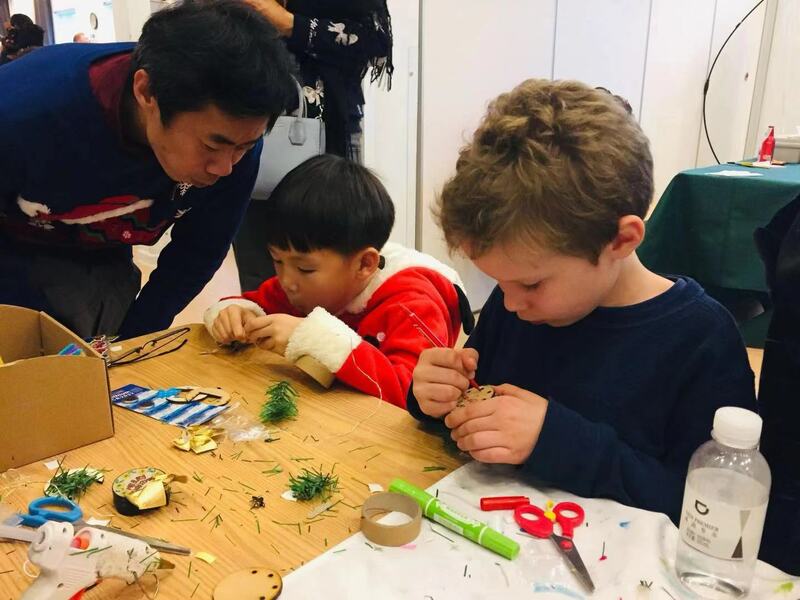 The Art team aim to get everyone in a jolly mood using dough to make ornaments, and felt and paper to make freestanding mini Christmas trees and Christmas stockings. There’s also a photo-booth. Time for the family to get all Christmassy! Free. 3 – 6pm. December 3. Atelier Sanlitun Campus (64161614).